From Left to Right: RAED ALJOWDER - BAC Senior Officer Tenant Relations, HISHAM AL SALOOM – Deputy Head Of Operation, SUJAT AMEEN - Head of Business Support, Passenger, JEAN SILVEIRA – Head of Human Resource, AHMED ALABBASI - BAC Head Tenant Relations, HELAL ALSAADOON – BAC Director Terminal Operations. From Left to Right: MAZIN MAJED – Shop floor Manager, HISHAM AL SALOOM – Deputy Head Of Operation, SUJAT AMEEN - Head of Business Support, Passenger, AHMED ALABBASI - BAC Head Tenant Relations, RAED ALJOWDER - BAC Senor Officer Tenant Relations and JEAN SILVEIRA – Head of Human Resource. 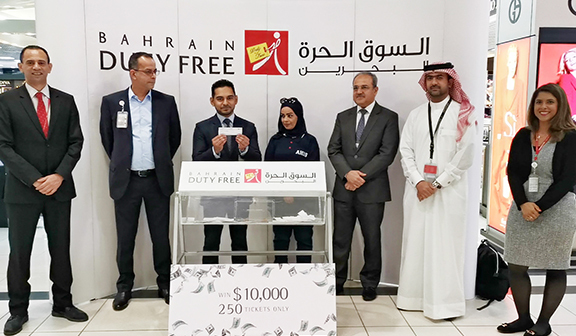 The shareholders of Bahrain Duty Free Shop Complex (DUTYF) on Tuesday during the annual general meeting (AGM) have approved the payment of the cash dividend of BD7.11 million for the financial year of 2018. 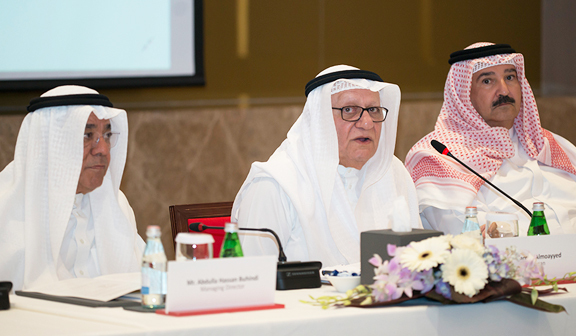 The AGM and EGM meetings were chaired by Farouk Y. Al Moayyed Chairman and attended by the board members and the shareholders who also elected the new board of directors following an election in presence of the representatives of regulators and external auditors. Addressing the general assembly, Farouk Y. Al Moayyed the Board Chairman informed the shareholders about the performance in 2018 and healthy start of business in the first quarter of the current year. Earlier the Company announced that it had achieved a net profit of BD 7.47 million compared to BD 7million in the previous year representing an increase of 5.3 per cent. The company also achieved an operating profit of BD 6.09 million compared to BD 5.39 million in the previous year representing an increase of 13.1 per cent. Total operating expenses BD 13.46 million compared to BD 11.84 million in the previous year representing an increase of 13.6 per cent during the year and within this the main driver was Royalty expense of BD 5.94 million compare to BD 4.93 million in the previous year which was up 20.5 per cent. Total comprehensive income BD 7.87 million compared to BD 5.99 million in the previous year representing an increase of 31.3 per cent mainly due to other comprehensive Income for the year was BD 399,508 compared to a negative BD 1.13 million last year, the improvement as a result of positive gains on their Securities held during 2018. Revenue of BD 36.41 million were achieved compared to BD 31.98 million in the previous year representing an increase of 13.8 per cent. Total investment income BD 1.37 million compared to BD 1.70 million in the previous year representing an decrease of 19.4 per cent due primarily to impairments taken in the year on their Property Investment Portfolio. Total shareholders’ equity for the year 2018 was BD 51.25 million compared to BD 49,96 million last year, up by 2.6 per cent. Total assets were BD59.19 million compared to BD 56.75 million in the previous year, an increase of 4.2 per cent. Basic earnings per share rose 6 per cent to 53 fils per share compared with 50 fils in 2017. 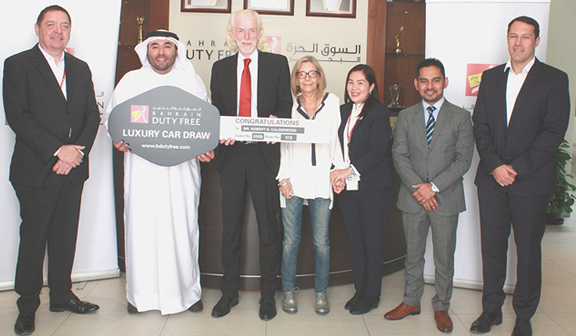 Left to Right: DOMINICK O’REILLY - Head of Operations, BASSAM ALWARDI – General Manager, ROBERT G CALDERWOOD– Winner, Winner’s Wife, Sales Assistant, SUJAT AMEEN - Head of Business Support, RICHARD WILKINSON – Head of Purchasing. 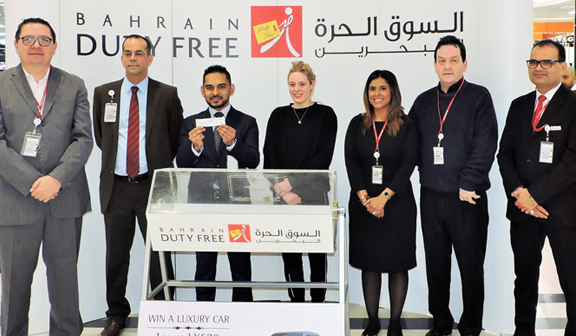 From Left to Right: PARVEZ MUSHTAQ – Shop floor Manager, SUJAT AMEEN - Head of Business Support, BASSAM ALWARDI – General Manager, LISA WHITE – Passenger, HISHAM AL SALOOM – Deputy Head Of Operation and JEAN SILVEIRA – Head of Human Resource. Bahrain Duty Free Shop Complex would like to announce the opening of the election for candidacy to fill ten seats of the Board of Directors membership for a three-year term (2019-2020-2021) as per Article (29) of the Articles of Association of the Company and as per Article (175) of Bahrain Companies Law. The ballot process for the election will be carried out during the upcoming Annual General Meeting of the company dated Tuesday 26 March 2019. 1. 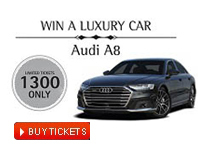 He/She shall enjoy the legal capacity to act. 2. He/She shall not have been previously convicted for an offence of bankruptcy by default or fraud nor for any crime affecting his/her honor or integrity nor for an offence by reason of his/her breach of the provisions of this Law unless he/she has been reinstated. 3. He/She shall not be prohibited from assuming the membership of the board of directors of a joint stock company in accordance with the provisions of the Bahraini Companies Law No. (21) of 2001 or any other laws in force in the Kingdom of Bahrain. • To submit a formal letter of candidacy, provided that the declaration should include the disclosure of any work/business managed directly or indirectly, which constitutes competition for the company, the names of the companies and entities in which he/she is working for or being the membership of the board of directors. 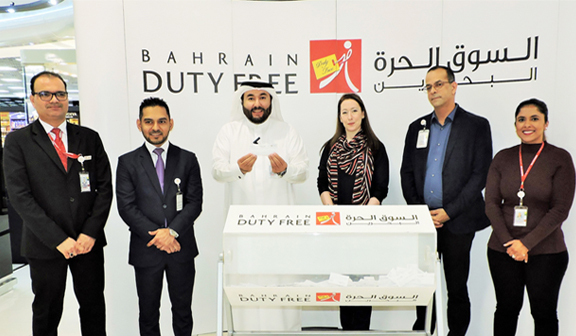 Bahrain Duty Free Shop Complex (DUTYF)announced at a meeting of its board of directors on Tuesday12thFebruary 2019,financial results for the year ended 31st December 2018. For the full year 2018, TheCompany achieved a net profit of BD 7,469,566 compared to BD 7,091,297 in the previous year representing an increase of 5.3%. The company also achieved an operating profit of BD 6,099,755compared to BD 5,391,522 in the previous year representing an increase of 13.1%. Total Operating expenses BD 13,461,506 compared to BD 11,845,130 in the previous year representing an increase of 13.6% during the year and within this the main driver was Royalty expense of BD 5,947,940 compare to BD 4,934,029 in the previous year which was up 20.5%. Total comprehensive income BD7,869,074compared to BD5,993,266 in the previous year representing an increase of 31.3%mainly due to other comprehensive Income for the year was BD 399,508 compared to a negative BD1,137,275 last year, the improvement as a result of positive gains on our Securities held during 2018.Revenue of BD 36,402,364 were achieved compared to BD 31,975,377 in the previous year representing an increase of 13.8%.Total Investment income BD 1,369,811compared to BD 1,699,773 in the previous year representing an decrease of 19.4%due primarily to Impairments taken in the year on our Property Investment Portfolio. Total shareholders’ equity for the year was BD 51,247,415 compared to BD 49,950,527 last year, up by 2.6%. Total assets are 59,128,446 compared to BD 56,746,790 in the previous year, an increase of 4.2%. Basic earnings per share rose 6% to 53 fils per share compared with 50 fils in 2017. Revenues of BD 9,297,460 were achieved during the fourth quarter compared to BD8,508,156 in the same quarter the previous year representing an increase of 9.3%. Operating profits were BD 1,525,896 compared to BD 1,253,766 last year, an increase of 21.7% helped by strong sales growth in the quarter. Net profits were BD 779,472 compared to BD 1,231,239 in the previous year’s corresponding quarter representing a decrease of 36.7%due to impairment charges of BD 692,038 taken during the quarter on Investments.Total comprehensive income was BD 824,980 compared to BD 265,609 in the same period of last year, an increase of210.6%. Commenting on the results, the Chairman Mr. Farouk Al Moayyed, said that 2018 had produced excellent results with double digit growth in Revenues and Operating Profits. He went on to say that the Company has made important strategic progress to ensure continued success for the Company in the future. Managing Director Mr. Abdulla Buhindi added that , sales growth had surpassed budget and prior year expectations. He went on to say that the ‎Company’s excellent growth in sales and operating profits were a testament to the ‎Company’s decision in 2016 to make a significant capital investment in renovating the shops ‎at the Airport. Many new brands and initiatives were introduced in the Perfumery &‎Cosmetics area as well as a new Premium Watch boutique all contributing to the overall ‎performance of the shop. He added, by stating that the Company remains focused on ‎delivering first class customer service and unique shopping experience for all our customers.‎ Meanwhile, Mr. Buhindi tapped on the Bahrain International Airport Development Program by which includes several projects, including the expansion of the Duty Free Zone and explained that the business model will be operated by Bahrain Duty Free Company, which was a new company established in January 2018 as a joint venture between Bahrain Duty Free Shop Complex and Gulf Air Holding Company in which will contribute a lot of important achievements to achieve continuous growth and profitability in the coming years. The project is expected to be completed in the fourth quarter of 2019. Mr. Buhindi concluded, the Company has succeeded in achieving outstanding financial results during the year, and thanked the executive management and all the employees of the company for their hard work and continuous efforts. He also expressed his confidence in the executive management continuing to achieve further growth. The full set financial statements and the press release are available on Bahrain Bourse’s website. 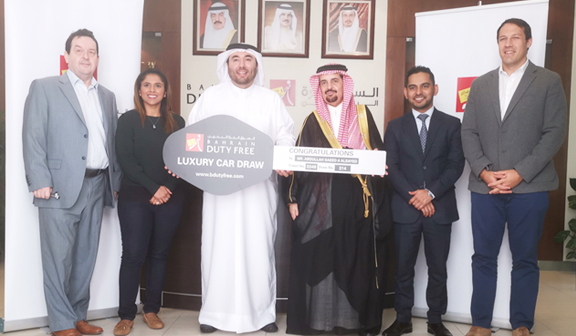 Left to Right: DOMINIC CARROLL - Head of Finance, JEAN SILVEIRA – Head of Human Resource, BASSAM AL WARDI – General Manager, ABDULLAH SAEED A ALSAYED – Winner, SUJAT AMEEN - Head of Business Support, RICHARD WILKINSON – Head of Purchasing. 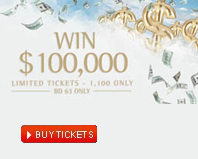 Footer: DOMINIC O’REILLY – Head of Operations , HISHAM AL SALOOM – Deputy Head of Operations, SUJAT AMEEN - Head of Business Support, HANNAH OSBORN – Passenger (United Kingdom), JEAN SILVEIRA – Head of Human Resource, DOMINIC CARROLL - Head of Finance, PARVEZ MUSHTAQ – Shop floor Manager. 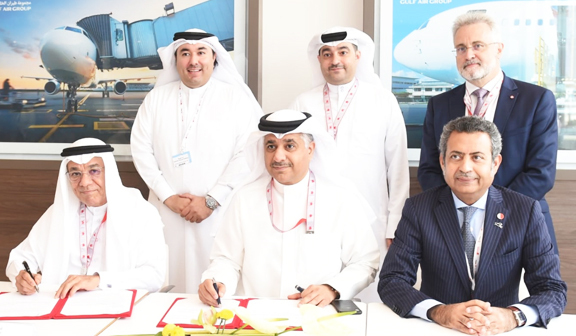 Sakhir, Bahrain: 17 November 2018:A key contract aimed at enhancing the duty free offerings at Bahrain International Airport (BIA) was awarded on the final day of this year’s Bahrain International Airshow, BIA’s operator and managing body, Bahrain Airport Company (BAC) announced. 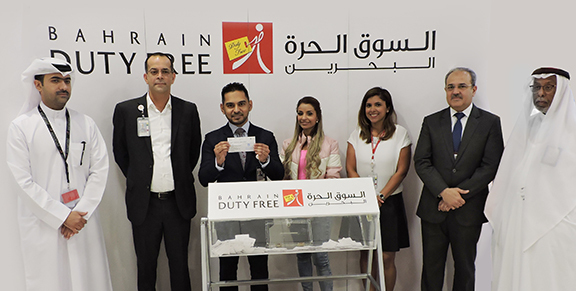 In line with the agreements, Bahrain Duty Free Company (BDFC) will invest a range of retail outlets at the Duty Free, located in the Departures area of the new Passenger Terminal Building. 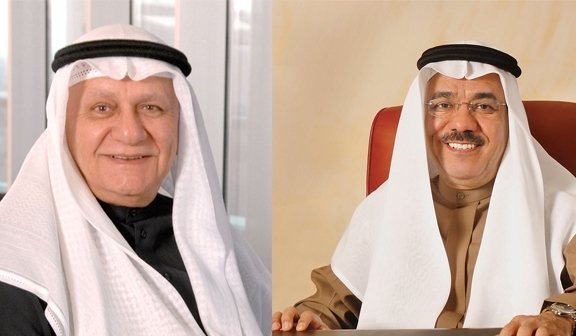 His Excellency the Minister of Transportation and Telecommunications and Bahrain Airport Company (BAC) Chairman, Engineer Kamal bin Ahmed Mohammed and BDFC Managing Director Abdullah Buhindisigned the 10-year contract. In attendance were BAC Chief Executive Officer Mohamed Yousif Al Binfalah, BDFC General Manager, Bassam Al Wardi and other officials from both companies. BAC, represented by Mr Al Binfalah, and BDFC, represented by Mr Al-Wardi, also signed a 15-year concession agreement. The 10-year agreement for the operation of retail outlets in the Duty Free area will see leading brands offer a wide selection of products ranging from fashion and accessories to travel bags, eyewear, toys, electronics, and jewellery.